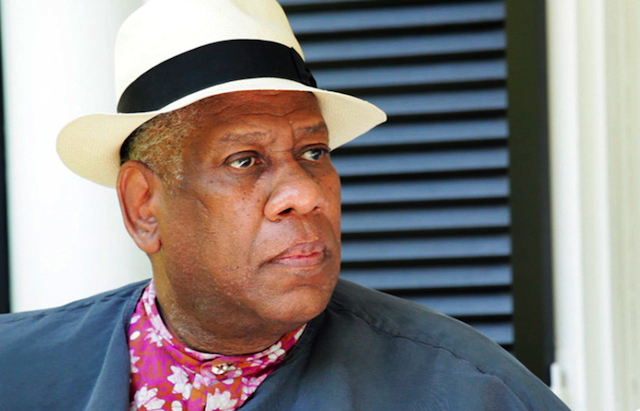 André Leon Talley was born in Washington, DC, but grew up in the North Carolina during the 1950s segregation of whites and African Americans in the South. Raised by his grandmother, who was a housekeeper for a fraternity at North Carolina University, Talley was encouraged in his love for order and fashion. And despite being a lower middle class African American gay man from the Jim Crow south, steered his life force toward that goal. After graduating from Brown University, the place he went to to escape his roots, he ended up in 1974 New York City. His world turned around when he volunteered for a fashion exhibit at the Metropolitan Museum of Art and caught the attention of Diana Vreeland, at the height of her power as editor-in-chief at Vogue fashion magazine and curator of the exhibit. ALT’s influence exploded from there, as he rose to editorial prominence in several fashion magazines, including Vogue. There are two unexpected elements to the film, which had it rise above the usual documentary history-and-interviews. The youth of André was affected by the segregation of the South, even though his grandmother did her best to protect him. It weaves like a thread throughout his fashion career, and generates his anxiety throughout the 2016 presidential election cycle. And with those two place keepers, the parallel story of his rise in the fashion world made the film unique. Like Oprah Winfrey, ALT is an African American – filtered through harsh segregation – who developed success and power through both hard work and sheer personality. It’s entirely remarkable. While I realized that any pursuit is about hard work, there has to another factor, and with ALT it’s about the magnetism of his purpose. The scenes of his appreciation of the fashion world is mystical… his eyes light up, his assessment powers are focused and he creates the fortitude of his influence… his artistic contribution to the art. Is it any wonder that Sean “P Diddy” Combs goes on bended knee to pay tribute to André in the film, calling him the “Godfather”? There is a parade of bold faced names in fashion and celebrity, that comment about and flirt around André, but most are also of another fashion age (1960s-70s) and movement. It is interesting to understand through the documentary whether Talley is a man of or out of his time. There is a scene where he is “live Tweeting” an event for the New York Times, and that moment seemed less important than altering a look for news personality Tamron Hall – the personal side of his influence is his personal touch, which is part mystery. There is no mystery in live Tweeting. The world of fashion is all about who is “it” when it comes to what we’ll wear. In a famous scene in “The Devil Wears Prada,” an aide to the fashion influencer character (portrayed by Meryl Streep) traces the color of a sweater to a decision the influencer had made years before. 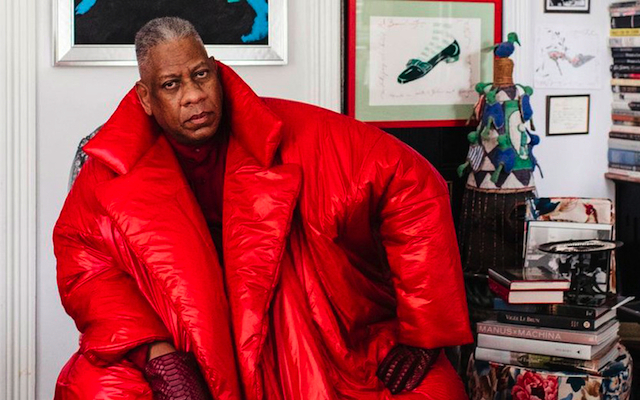 With André Leon Talley, it’s the same thing, and the real thing.